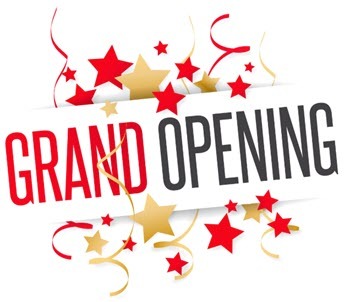 Mini Price Storage is expanding with the grand opening of a newly constructed self-storage facility at 1000 Lynnhaven Pkwy, Virginia Beach, Virginia today. This Mini Price Storage location will offer state-of-the-art self storage amenities, at great pricing, and the most convenient location for area residents. “Our new Lynnhaven storage center is in a very convenient location. We think many area residents will not only enjoy the location, but they will also love the many amenities that we offer. Our move-in truck, business center, easy access units, are just a few of the conveniences. My team is ready to provide area residents the best storage experience!” says Robbie Hinson, Area Manager for Mini Price Storage. The Lynnhaven Parkway location will enjoy top security systems, climate control, secure gate access, and a business center that includes free use of computers, a printer, and fax machine. The storage facility was also constructed with eco-friendly materials including the recycled glass countertops energy-efficient lighting and heating and cooling. In addition to the free access to the business center, Mini Price Storage customers can also take advantage of free move-in trucks and discounted moving and packing supplies. For more information on the opening of the new Mini Price Storage Virginia Beach Blvd location, please visit: https://minipricestorage.com/mini-price-storage-1000-lynnhaven-pkwy-virginia-beach/ or call 1-866-531-2675. Mini Price Storage offers award-winning, state-of-the-art storage facilities and has been in operation for over 30 years. Areas served include South Hampton Roads and Richmond, Virginia. Mini Price Storage is known for outstanding customer service and unique storage amenities. Visit: http://www.MiniPriceStorage.com for more information.